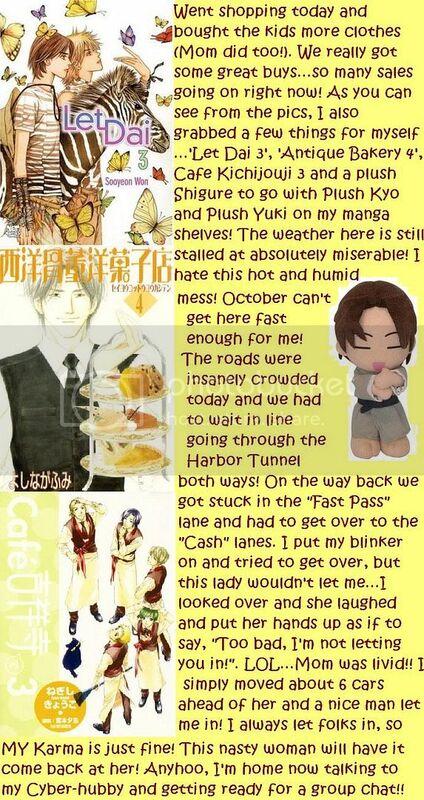 OMG, plush Shigure is soooo kyuuuuuuuutttt!!! Glad you had a fun time shopping and a good day. Thanks, Deb! You are so sweet! I love when you come home to me after your day of hunting and foraging. LOL! Not to worry, Dave...I wasn't being a buttinski!